Styled with irwin bodysuit and quillian pant . Add bombshell personality to day and evening looks alike. 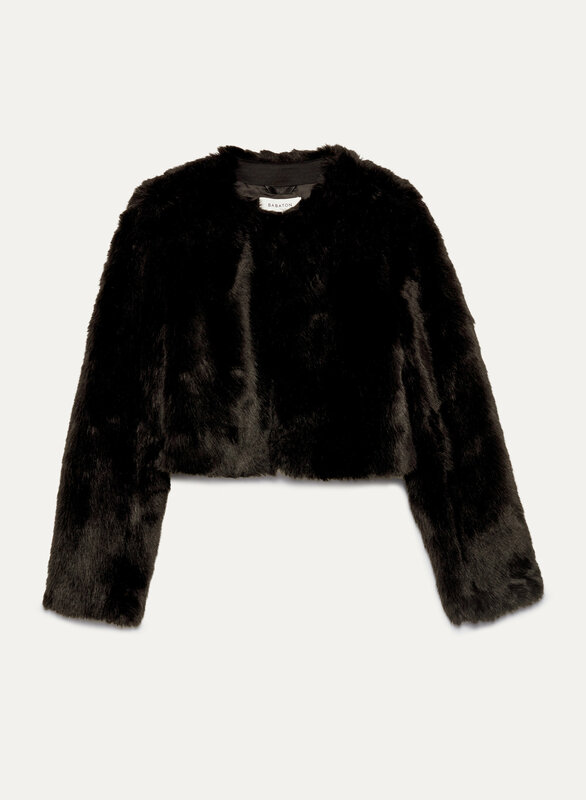 This high-pile vegan fur jacket delivers fun and glamour in spades. 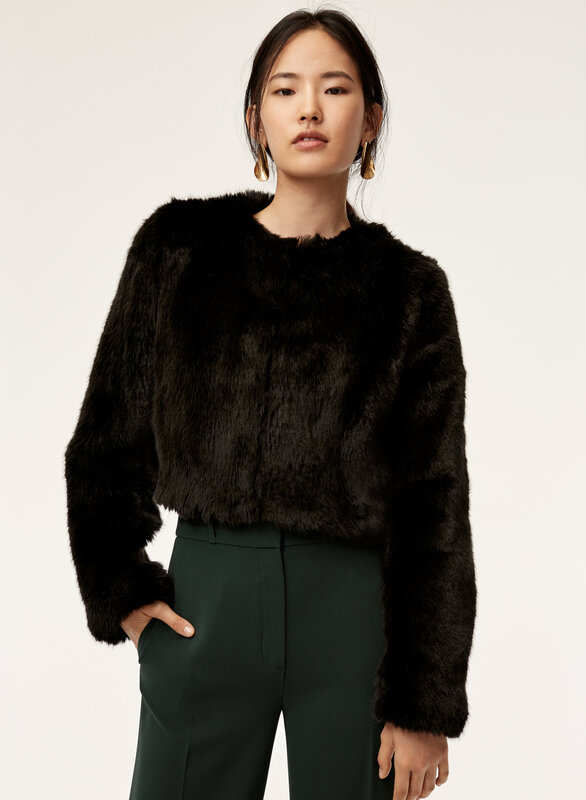 The look and feel of this faux fur is so luxe! Perfect piece to layer over the top of high waisted jeans or little leather skirts. SO CUTE! I ordered it in the red and the black! Got it one size bigger to give it an oversized look. Love it! Very pretty, great for a night out all season. Definitely a cropped look. Very flattering. I got the red color and it’s beautiful. I bought the Owen Coat in the pink colour, size XS and wore it out for NYE and it was a huge hit! All of the girls at the party wanted to try it on and take pictures in it. Can't wait to step out in this coat again. It fits well but definitely fits as a crop and shows your midriff area, so you really have to plan your outfit and what you're wearing underneath around that. So cute! Love it. Wish it was slightly longer. I love this coat. The colour is absolutely fabulous. I got the dahlia mauve colour. It fits slightly on the smaller side. It’s just a super fun piece for a night out. This coat is absolutely gorgeous! The material is really nice and it's also fairly warm. However, it is VERY short. I am usually a size S or XS (depending on the item) but in this coat, I got an L because I wanted it to hit my waist. LOVE this!! Only downside is the sleeves are too long :( (fits well everywhere else though!!) will look for tailors to see if anything can be done, otherwise LOVE it! !